Welcome to Summerside on the Hill! During the summer months, Springside Chestnut Hill Academy (SCH) is home to Summerside on the Hill, a variety of day camps for boys and girls ages 4 to 17. Summerside on the Hill offers 10 weeks of camp programming with something for every age and interest. All Summerside on the Hill camps are led by passionate, enthusiastic professionals who are experts in their fields and who are passionate about working with children. Tucked into the Wissahickon Valley Park in the Chestnut Hill neighborhood of Philadelphia, our 62-acre campus boasts state-of-the-art facilities and sports fields. Whether your child enjoys crafts, sports, performing arts, music, or computer animation, you will find the perfect fit to make your camper’s summer a memorable one. Summerside on the Hill offers classic day camps, multi-sports camps, arts camps, outdoor camps, and single-sport offerings for the dedicated athlete. Looking for the perfect place for the perfect summer for your child? One of our many camp offerings is for you! Details including tuition, camp description, and director information can be found with each camp offering. 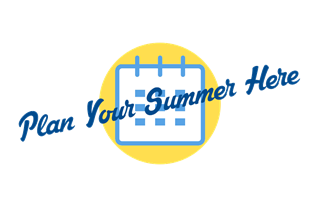 We look forward to another terrific summer and hope your child will join us!